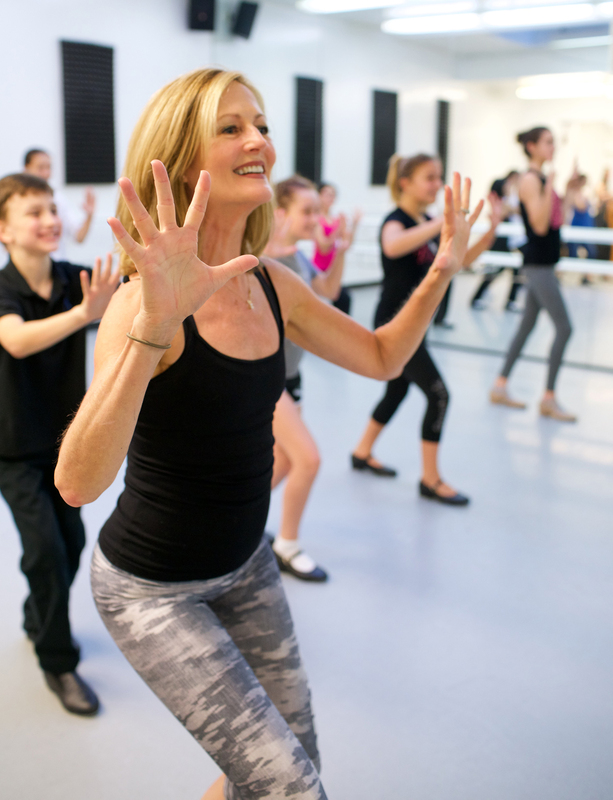 Gail Pennington Crutchfield is the Founding Director of SHUFFLES, Broadway Tap and Musical Theater School where she’s been sharing her love and joy for dance with students since 1992. A Dallas, Texas native, Gail began her dance training at the age of two, studying in her family’s studio and went on to earn a BFA in dance from Southern Methodist University. She performed as guest soloist with Dallas Ballet and Santa Fe Ballet and was a Rockette on the great stage at Radio City Music Hall! On Broadway she appeared in the original cast of “42nd Street” and under the tutelage of dance legends such as Michael Kidd in “MUSIC MAN”, Roland Petit in “CAN CAN”, Peter Gennaro & Bob Fosse in “LITTLE ME”, Susan Stroman in “A CHRISTMAS CAROL” and Liza Gennaro in “THE MOST HAPPY FELLA”. Off Broadway Gail appeared in “THE BAKER’S WIFE” with Lynne Taylor- Corbett and Alan Menken in “KICKS”. As a choreographer, she made her Off Broadway debut in 2011 with FRECKLEFACE STRAWBERRY which garnered her a Lucille Lortel Award Nomination for Choreographic Excellence and a Joseph B. Calloway Award Nomination for Choreography (SDC). In 2007, Gail collaborated with her actor/director husband, Buddy Crutchfield, creating and choreographing the wildly-popular holiday panto, PETER PANTOmime, now in its 10th year. Gail and Buddy’s latest collaboration is a new musical, PETER RABBIT, BEYOND THE GARDEN GATE. Gail and Buddy raised their children – Abigail, Harvard 2010 and Coleman, Princeton 2012 on Manhattan’s upper westside.